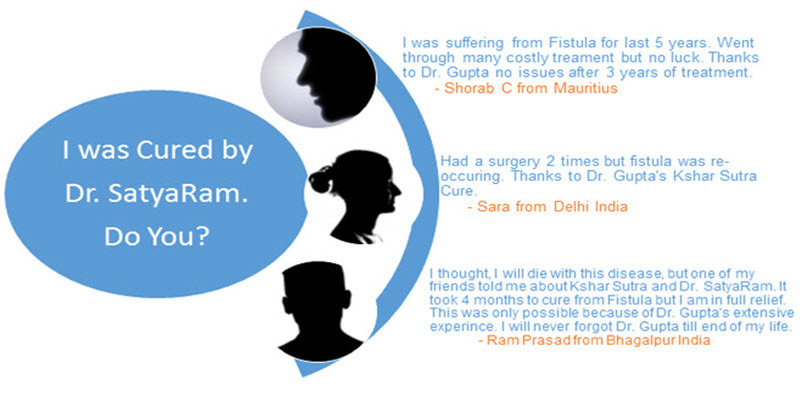 Sara from Delhi, India: Had a surgery two times but fistula was re-occuring. Thanks to Dr. Gupta's kshar sutra cure..
Disclaimer: fistulaksharsutracure.com is a Free Information site. We have no aim to hurt anybody, please utilize this data at your own particular comprehension. fistulaksharsutracure.com does not ensure about exactness, culmination, appropriateness or dependability as for the data of fistulaksharsutracure.com.